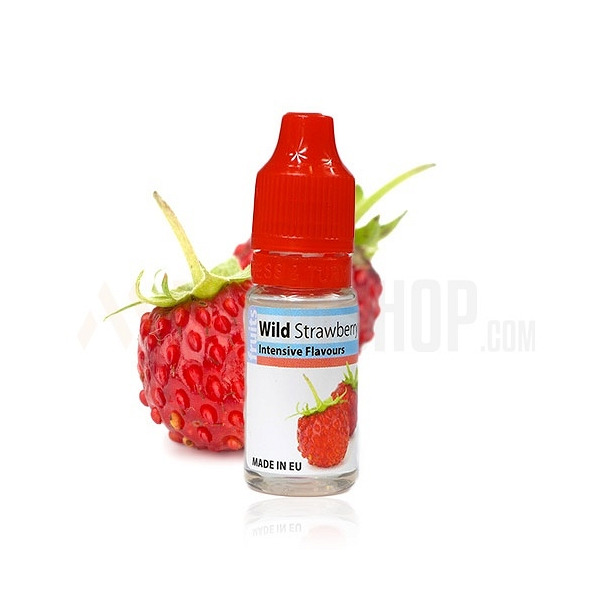 Wild Strawberry 10ml. Mini version of strawberry, with the same sweet, intensive taste & flavour. Wild Strawberry is ideal on it’s own and as addition to other berry fruits. Dosage: 7-8%. Bottle 10ml made from PET material, childproof cap, long, thin dropper. Produced in EU.